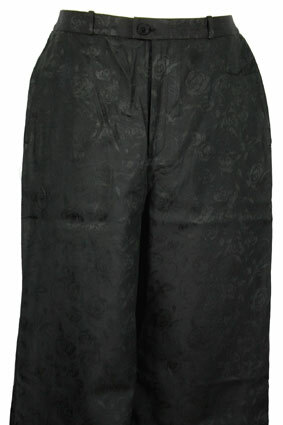 Alexsandr Manamis cut-off trousers in black brocade with flower patterns. Belt loops. Zip and button fly. 2 side pockets, the left pocket has a notch cut out. 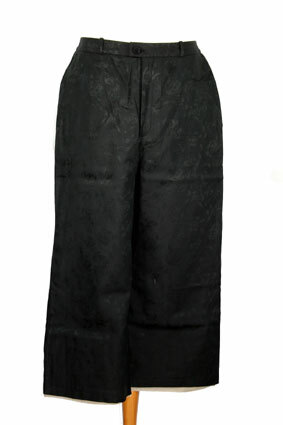 2 rear pockets with button fastening. 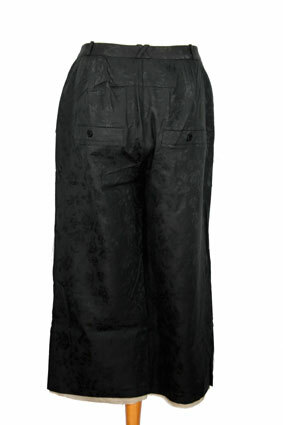 Fully lined in stone coloured fabric which extends below the leg hems of the main trousers. The trousers are finished leg with the extending lining with a raw edge. Another beautiful piece from this great collection.